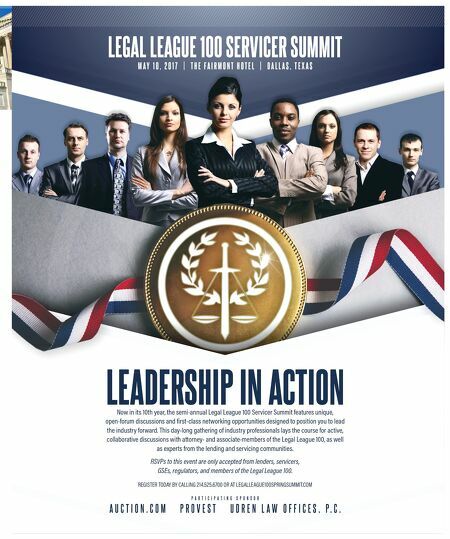 LEGAL LEAGUE 100 SERVICER SUMMIT M A Y 1 0 , 2 0 1 7 | T H E F A I R M O N T H O T E L | D A L L A S , T E X A S Now in its 10th year, the semi-annual Legal League 100 Servicer Summit features unique, open-forum discussions and first-class networking opportunities designed to position you to lead the industry forward. This day-long gathering of industry professionals lays the course for active, collaborative discussions with attorney- and associate-members of the Legal League 100, as well as experts from the lending and servicing communities. 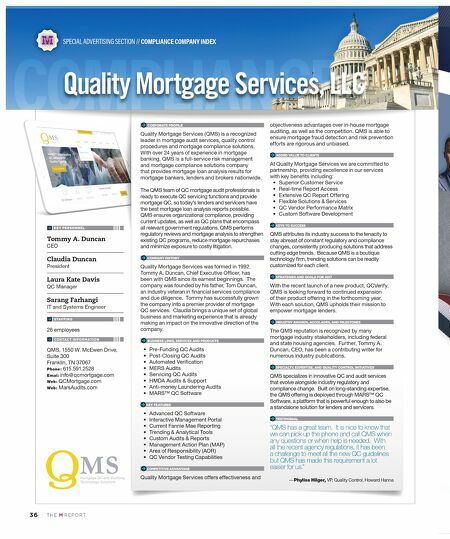 RSVPs to this event are only accepted from lenders, servicers, GSEs, regulators, and members of the Legal League 100. LEADERSHIP IN ACTION REGISTER TODAY BY CALLING 214.525.6700 OR AT LEGALLEAGUE100SPRINGSUMMIT.COM P A R T I C I P A T I N G S P O N S O R A U C T I O N . C O M P R O V E S T U D R E N L A W O F F I C E S , P . C .